Have you ever listened to your dog bark and thought, “I wonder what’s he’s saying?”. Have you ever yelled at him to be quiet and he look at you confused? We have! Being dog (and cat!) people at Petrest, we were thinking about what all of those different barks mean. We know that a baby’s cry can mean different things, and parents have an almost instinct based ability to tell the difference between “I need help” and “I want attention”. It’s the same for our dogs! Learning to tell the difference between the noises your dog makes (anything between whining and full on growls) will be really useful. 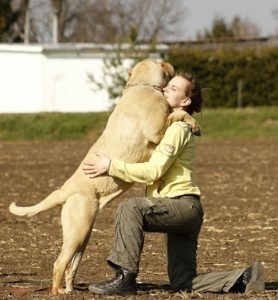 Understanding your dog better will help you both when it comes to training, and can help strengthen the bond between you. When you can understand that your dog is saying “I hear danger” rather than “I’m being sociable” it can make all the difference if the situation should call for it. So what are the most common barks? 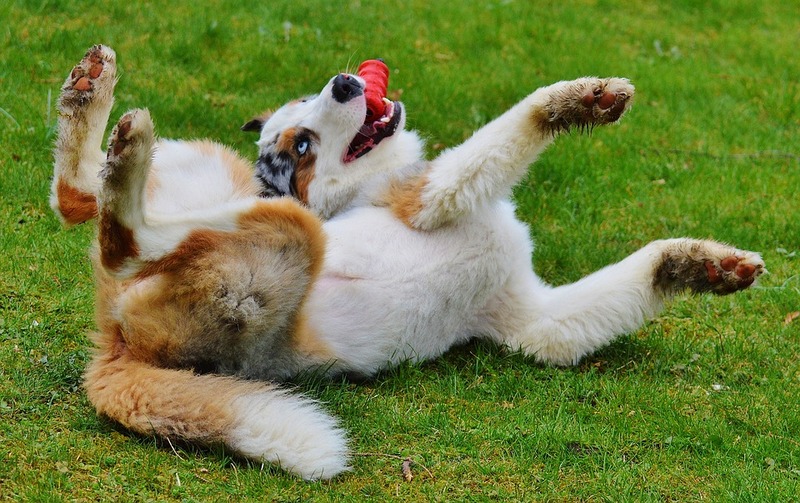 Just like humans, dogs use barking and whining to communicate both between themselves and with us. A curious fact to note: wolves rarely bark. 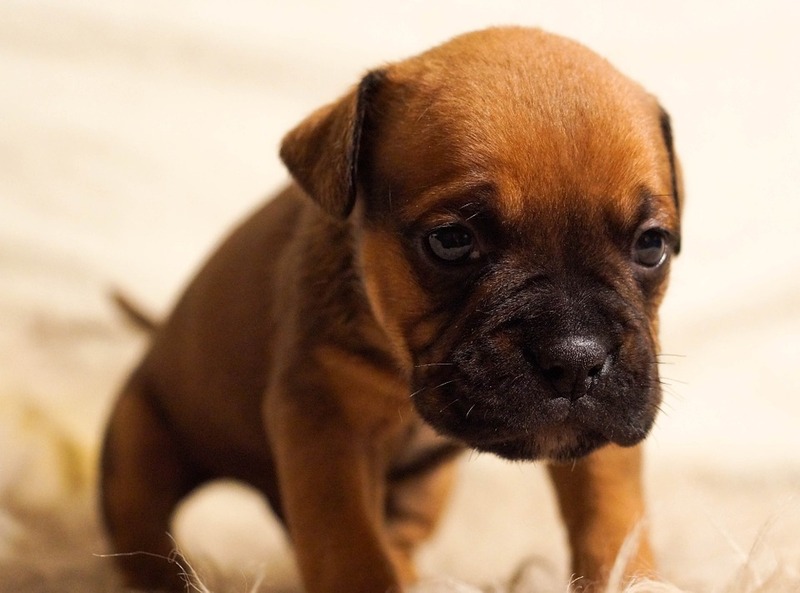 It’s is believed that dogs are about as mature as wolf cubs, and as wolves stop barking so much when they reach maturity, dogs haven’t evolved past the barking cub phase! 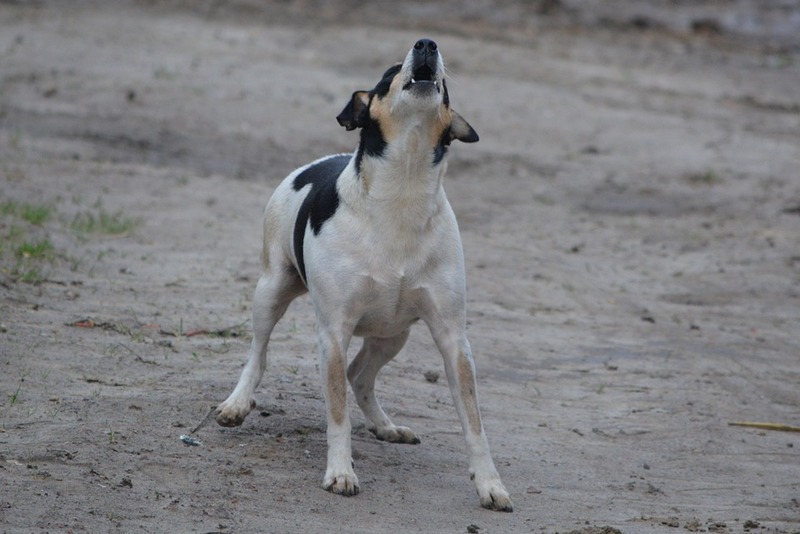 We’ve rounded up some of the most common dog barks and given you a little snippet of sound to listen to. 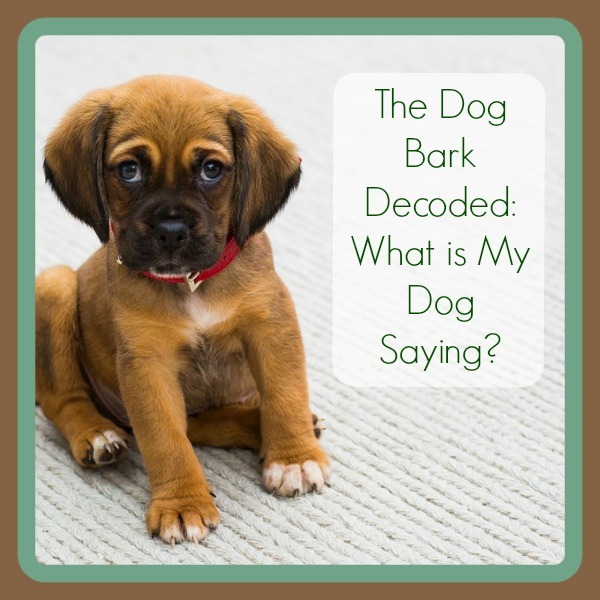 Go ahead and learn what your dog is saying! When dogs are curious about something or they’ve seen/smelled/heard something that has perked their interest they will give sharp short barks at a higher pitch. If they suspect danger they will generally stay quiet to make sure they’re not alerting the danger to their presence, but if it’s not a dangerous situation they will make interested barking noises. This is almost a yappy sound. Your dog’s body language may be stiff and on alert and a lot of dogs will turn their heads from side to side, which is adorably cute! 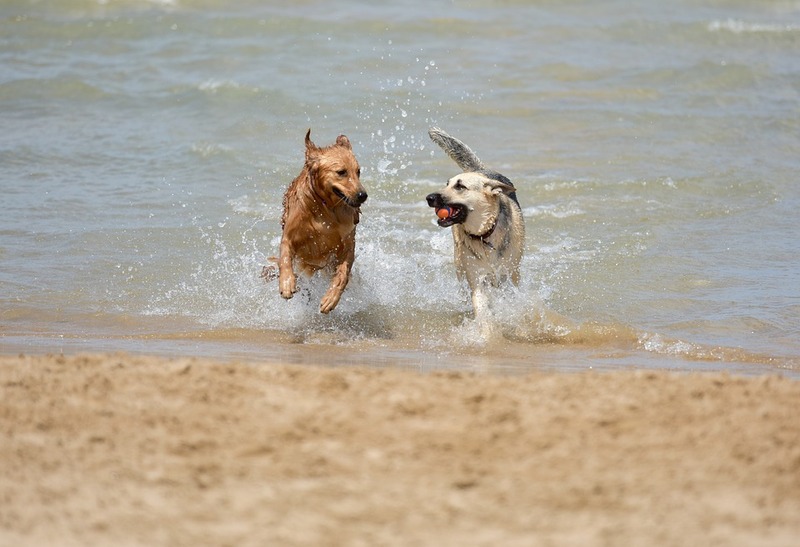 Dogs that are having fun will bark in a yappy tone, usually at a higher pitch that normal. Your dog may also do a rising bark sound. Their body language is usually soft and playful. Some dogs are really well trained and will not bark when saying help. Other dogs will be a right pain and continue to bark (even when their owner is desperately trying to quiet them!). 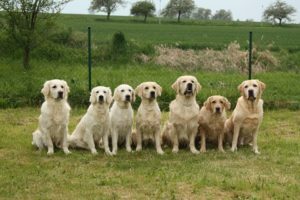 Usually most dogs fall somewhere in between these extremes and their “hello!” bark will be one or two sharp short barks, these are usually at a fairly mid-range pitch that is neither high and excited or low and anxious. Depending on how your dog feels about greeting people, their body language will usually be slightly on alert but welcoming. 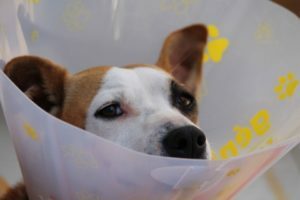 A dog that is in pain will make series of yelps. These are little cries or whimpers that are completely different to the usual sounds a dog makes, making it easier for their companions to know something is up. 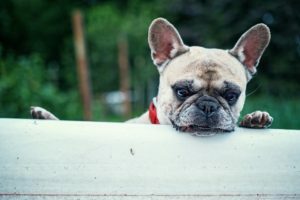 Some dogs will also make yelping whining sounds when they are alone, when they’re playing, or when waiting for something exciting (like a biscuit). The sound clip here was recorded when the dog’s companion left him outside a shop and returned a few minutes later, no dogs were hurt in the making of this clip! When a dog is lonely and wants some attention he will usually make a series of prolonged or insistent barking with short intervals in between. This is a simple cry for attention because he’s not getting any. It’s important to not over encourage this sort of behaviour as it can lead to separation anxiety, most of the time dogs will settle down though. When something hurts your dog he will make a single yelp or short high pitched bark. This is exactly the same as us going “ouch!” when we do something that hurts us suddenly. If the pain continues then they will continue to yelp and whine. Some dogs, especially talkative breeds like the Chihuahua, will make yelping sounds when playing with their owner. The sound clip here was made when the dog was playing and was NOT the result of an injured dog! Everyone has heard the pack roundup song. Your dog goes outside to do his business and to tell his friends he’s there, and so it starts! Bark! Bark, bark, bark! It continues on until either the dogs go in or you’ve managed to quieten Fido down. 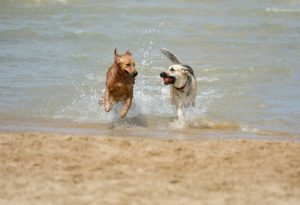 This is simply a way for dogs to communicate and almost like them sharing their day; “Hello Fluffy, its Fido. I’ve had my dinner and was given a bone for being good all day!”. 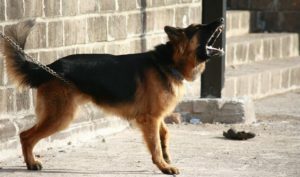 This barking can become a problem but only usually lasts for a few minutes. With good training you can usually get most breeds of dogs to stop barking like this on command. The playful dog will make a different type of barking. Usually not loud, the barks are almost stuttered barks and at a mid range pitch. They are usually not quite as high as the yappy excited barks we heard above, but can certainly become yappy! Some dogs play silently and will not bark at all! This noise is a warning. It’s your dog saying “I’m not happy with this; I’m trying to tell you I’m unhappy. Please stop”. Many dogs will start off with a low growl and perhaps progress into single short barks at a lower pitch. Their body language will usually be very rigid and suspicious. They might not make this sound just when they are annoyed. 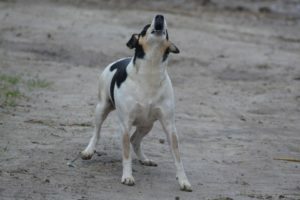 Some more vocal dogs (such as Chihuahuas and small terriers) make this sound when playing teasing games and, although it shouldn’t be encouraged, it isn’t as serious as other dogs. The dog in this clip was playing a teasing game with their owner. Any dogs making warning sounds over food or territory (under the table for example) towards their owners should be strictly discouraged. As their owner you should be able to take food from them or come into their territory without feeling as if your dog will snap or bite. Consult your Vet or dog behaviourist if this is a problem with your dog. This is the bark to listen to. A mid range bark, it comes in rapid strings with only a few pauses in between. This is your dog saying “Hey! There is danger here. I’m warning you to keep you safe”. This is the bark your dog will make if she feels there is imminent danger to her or her family or territory. 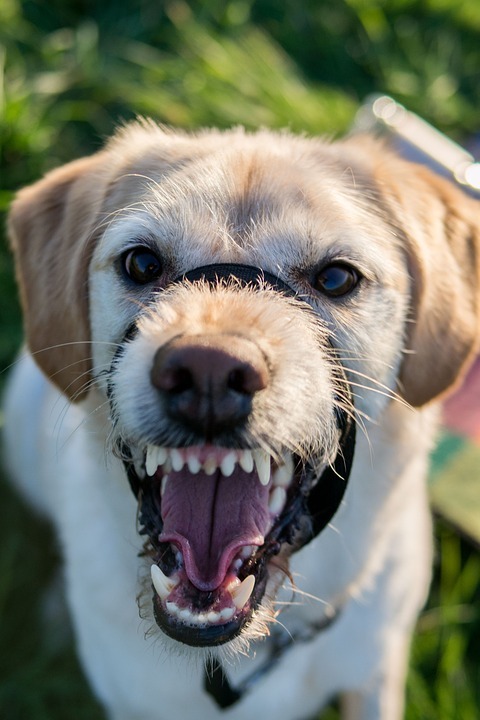 Some dogs feel more threatened than others and will make this warning bark more frequently than other, less vocal dogs. If a dog doesn’t usually bark too often, or is usually quite conservative with their barks, and makes this noise, then it’s certainly worth further investigation. Does your Fido bark his head off? Or is he simply barking mad? We’d love to hear what you think in the comments below!